Nobody wants to think about the possibility of receiving a cancer diagnosis. Such a diagnosis strikes fear, shock, and a sense of helplessness in the hearts and minds of everyone affected. In 2016 there were over 1 million new cancer diagnoses. Fortunately, due to advancements in science and medicine, a cancer diagnosis is not necessarily a death sentence. In fact today there are an estimated 15.5 million cancer survivors in the US and that number is projected to increase to 20 million in 2026. However, the advances in medicine and technology have not come without a cost and many find it difficult to keep up with treatment costs despite having medical insurance. Within the last decade, insurance companies have taken note of the rising costs of cancer care and many offer a supplemental insurance plan that provides additional coverage to your regular plan. This new type of cancer insurance is not meant to replace your current medical coverage, but to enhance it by covering many of cancer related expenses not currently covered by basic medical insurance. It is important to double check with the individual insurance company about what is actually covered as this list is not comprehensive to all policies. How do you know if you should invest in Cancer Insurance? Companies like QuoteWizard have made it easier to explore your insurance options and suggest you begin by asking yourself the following questions. If you or one of your family members were diagnosed with cancer, would your current insurance policy cover all the costs? Would your family be able to pay the out of pocket expenses associated with treatment obtained from out-of-network specialists or for therapies that are not network accessible? Are the extra monthly premium costs associated with a supplemental cancer insurance plan worth the peace of mind it provides? Do the benefits of such a plan outweigh the additional monthly costs? When should I invest in a cancer insurance plan? Like all insurance, it is impossible to obtain coverage after the fact. That is why QuoteWizard recommends exploring your options before a diagnosis. 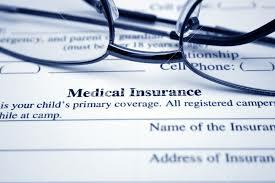 To help you in making a decision if a supplemental policy may be right for you please read further. Is this type of insurance designed to replace my existing medical insurance? No, supplemental cancer insurance does not replace your health insurance. Cancer insurance augments your health care plan, not replace it. Have you been diagnosed with cancer in the past? A previous diagnosis is considered a pre-existing condition and may hinder your ability to obtain cancer specific supplemental insurance. Many of the companies also implore an age threshold. Each company is different. Family history and genes both play a role, however, an absence of cancer in your family history does not guarantee you won’t be affected by cancer due to an environmental cause. Which Insurance Companies Offer Cancer-Specific Insurance? QuoteWizard’s picks for best companies providing cancer insurance. What Will Cancer Insurance Cover? If you would like further information on cancer insurance such as how much coverage you need, cancer insurance limitations, costs and other important questions, please download a comprehensive cancer insurance guide here.